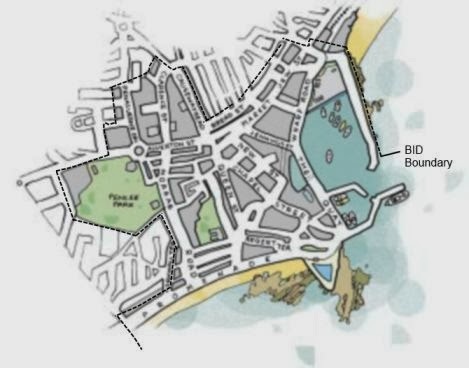 - What could a BID mean for Penzance? - Return by post, or drop off, the completed slip at the bottom of the invitation to: Marcus Wilkinson, Chairman Pz BID Steering Group, Alfred Smith & Son, 31 Clarence Street, Penzance TR18 2NX. Directions to event (Penwith College Campus)- here. Penzance BID - Mini-brief/timetable 2014/15 - here. Frequently asked questions about BIDS - here. Survey of Businesses (What is important to you). here.